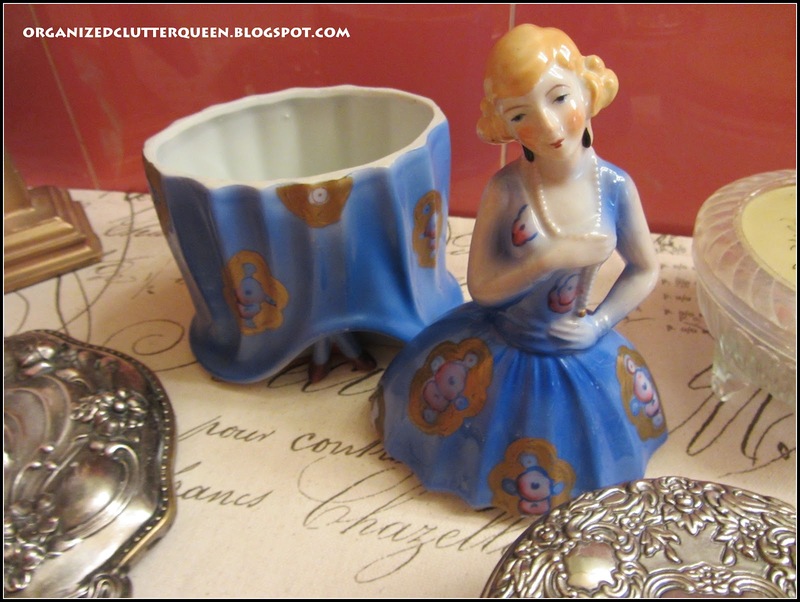 Yesterday I bought a beauty at the consignment shop! She wasn't especially cheap at $18, but she was in perfect condition. 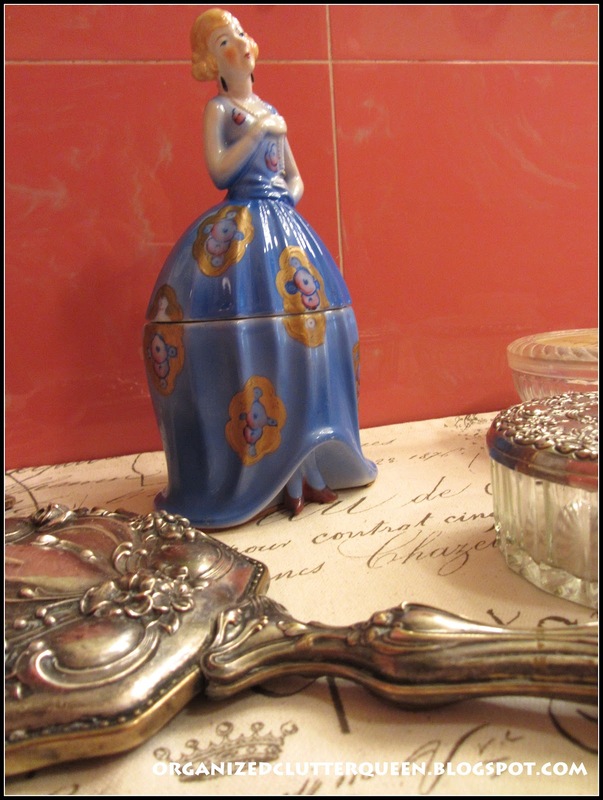 You know I have a love of lady head vases, lady portraits, lady portrait plates, and lady figurines, and also a love of vanity jars and powder tins. No wonder I love her! 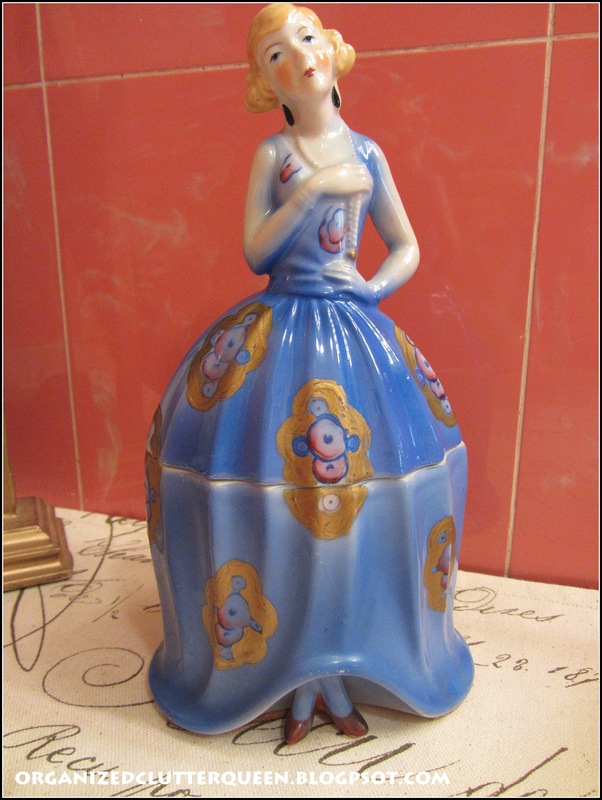 I love her blue dress in my bathroom with the coral tiles. Look at her little feet poking out from under her skirt! Making her home on my bathroom vanity. 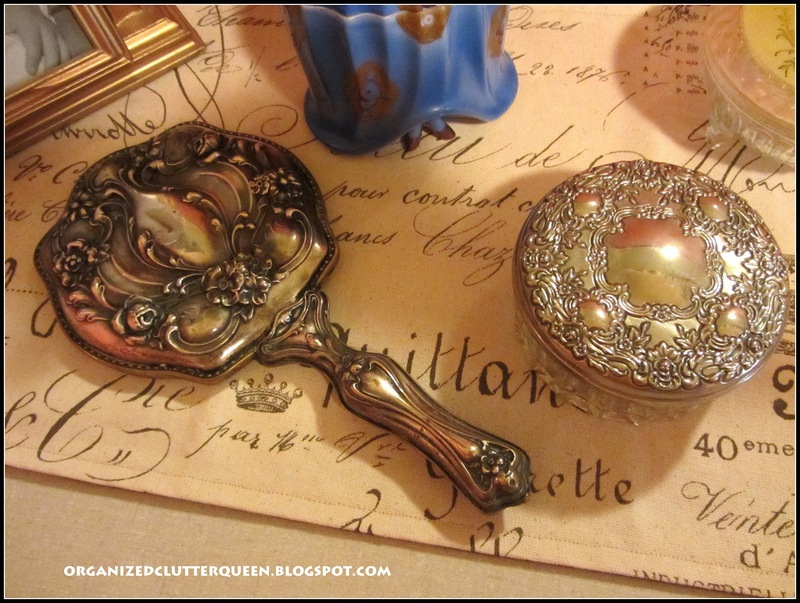 She's right beside my silver topped vanity jar that I posted about in Tabletop Treasures. 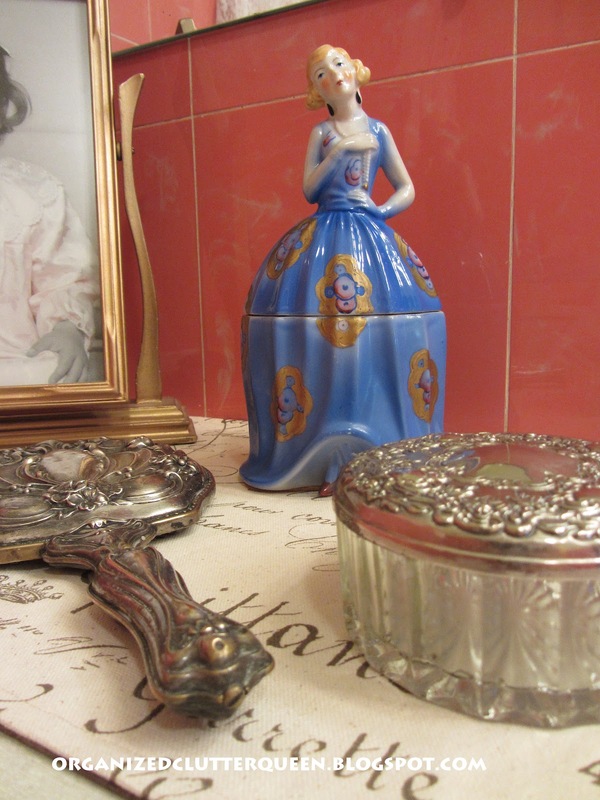 Also an ornate silver plate hand mirror. Other vanity jars in my collection. 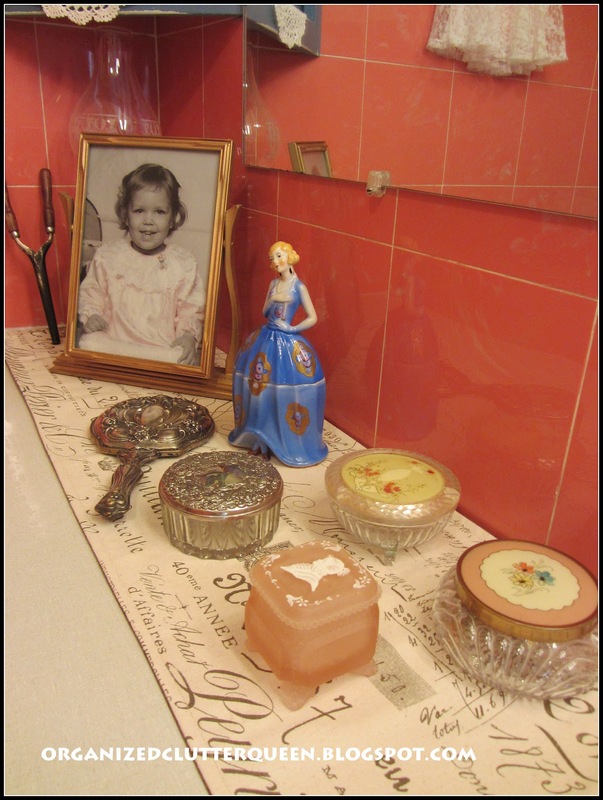 A vintage oil lamp and curling iron (that she may have used in the 1940's), and a photo of one of my daughters complete the vignette. She really is lovely! What a wonderful treasure to find! Wow! She's something I've never seen the likes of....very pretty. 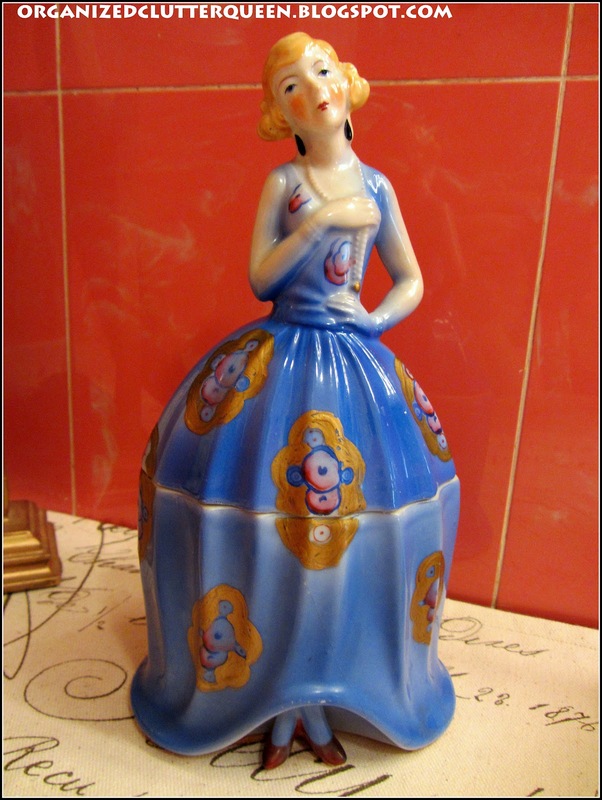 I was never into ceramics or china but as I age I am gaining an appreciation for them especially the vintage ones. And I love color! 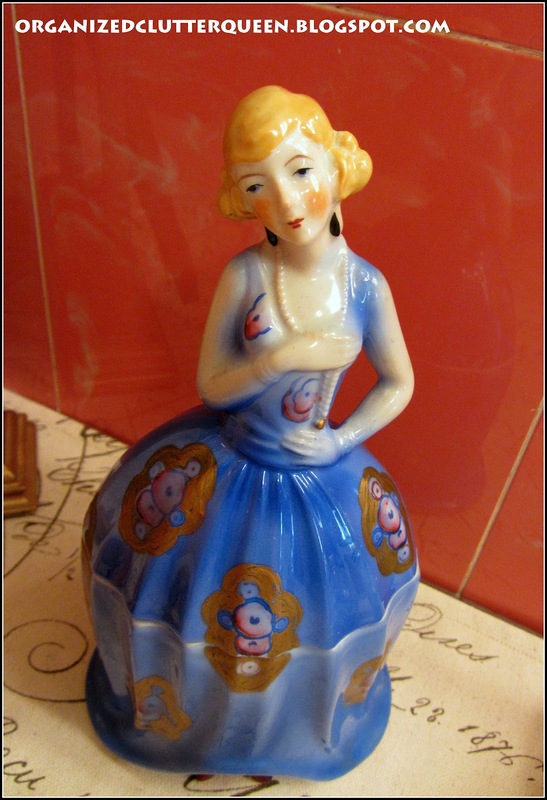 She's really precious and looks great in your "vignette". She is so sweet! 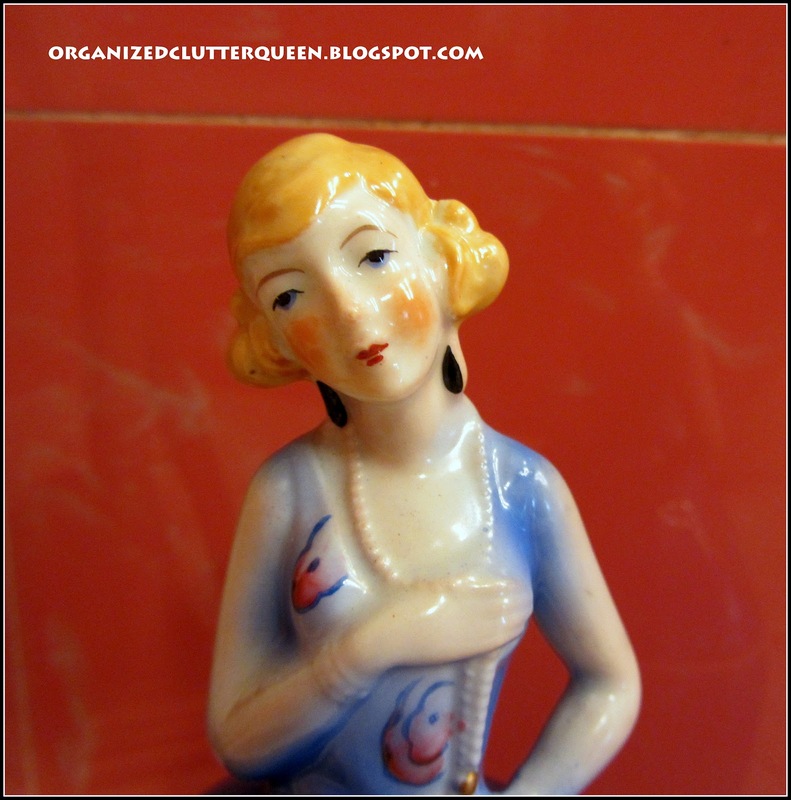 I just love that color of blue up against your coral tiles, too! 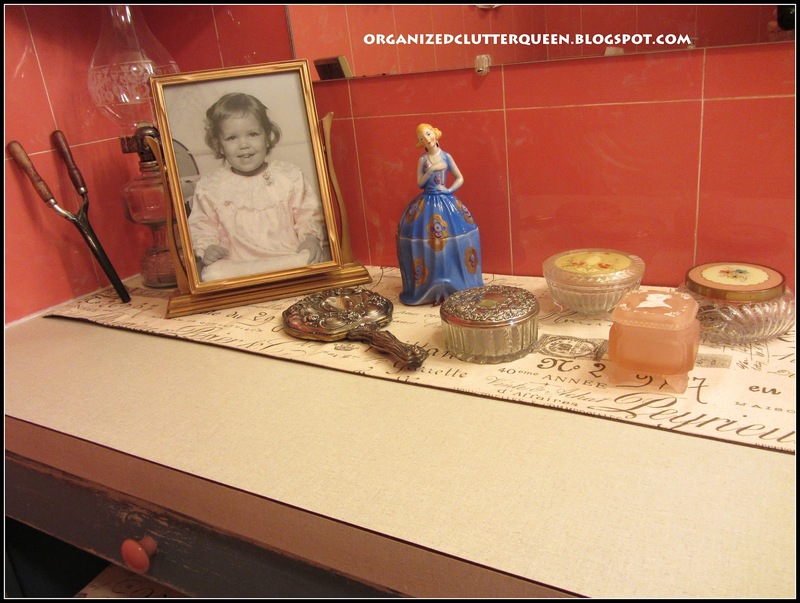 I collect dresser jars too and I love your collection. Your little lady is stunning! Such a pretty addition! Your collection of vanity jars is fabulous. She really is a special little lady! I can see why you had to have her. I think she looks great against the coral tile too. she is so sweet....and oh, do we love the color!! She is just perfect there, glad you brought her home! She really is so pretty there, and looks to be in pristine condition. Beautiful silver pieces, too!